Montblanc is a famous pen brand that prides itself on its heritage, workmanship and quality. It’s a compelling proposition and one that my daughter thought I would buy into. So she saved up enough money to buy me a Montblanc pen for my birthday. Like any father will tell you, this was a very important gesture for her and me. Although every present from her meant the world to me, it was a step up from the Mickey Mouse socks or The Who coffee mug I was used to getting. And I cherish my Montblanc pen more than just about anything else. For a while I didn’t take it out of my home office. And then I took it on a business trip to London but was so worried I would lose it, I put it in my briefcase and didn’t use it until I got back to Malaysia. It stayed on my desk and was reserved for signing cheques, letters and the occasional greeting card. I cherished that pen more than anything. And then one day it broke. I was unscrewing it like it was meant to be unscrewed and the cap snapped. And it snapped at the point where the cap screws onto the pen shaft. I went on the Montblanc website to find out the warranty information and found this confusing statement, “Montblanc writing instruments are under a 24 month warranty from date of purchase or receipt as a gift, against manufacturer’s defects. 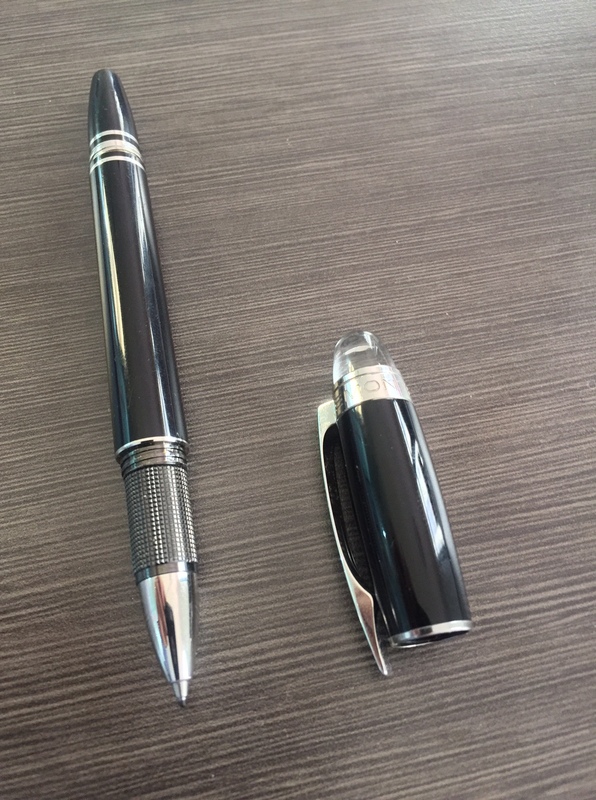 After reading the warranty information I was none the wiser but this being a luxury product, I was confident I could get the pen fixed under warranty but when I contacted Montblanc they told me, very nicely that there was a 2 year warranty on the pen but it didn’t cover my problem. So basically here I was with a product that was sold as a ‘beacon in the luxury brand market for nearly a century’ and ‘the paramount creator of writing instruments’, but in reality wasn’t fit for purpose due to what seemed to me to be a design flaw. I’m no pen expert but it was obvious to me that it was a design or materials flaw because there is too much pressure on the cap. The cap material simply wasn’t strong enough to sustain the strength of the screw on the shaft. Perhaps the screw was made in Europe but the pen top was made in China? So the branding issue is what should Montblanc do? Do they deliver on their promise that they are a leader in the luxury brand market, admit the issue is their fault, do the right thing and replace the pen or at least the top? Or do they ignore the customer and hope he will go away and accept that luxury lasts 2 years? Historically a brand would simply quote the terms and conditions of the purchase, which is what Montblanc did. A case of ‘thanks for buying our expensive product that only lasts 2 years. We’re sorry, but it’s too bad’. 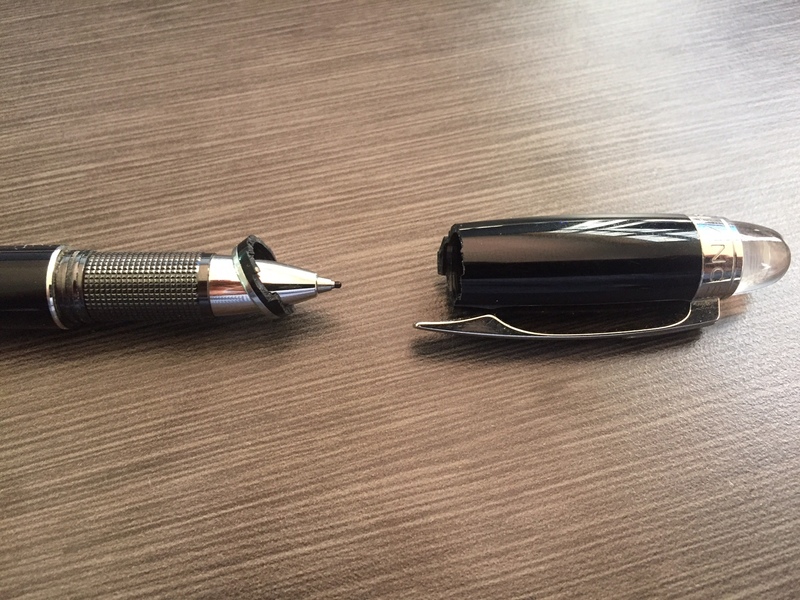 This initial experience with Montblanc was a huge disappointment. It bought me crashing down to earth. This luxury brand with impeccable heritage was refusing to deliver on the promises made on its website. The brand refused to take responsibility for what was obviously a design flaw and told me I had to pay for the repairs. Like a good citizen I got a quote from a Montblanc shop and they told me the repairs would cost US$125. I was basically between a rock and a hard place. Either pay the US$125 or have half a luxury pen. 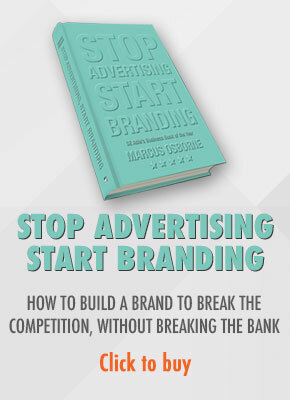 Now in the mass economy when branding was transactional, I would have had limited opportunity to voice my frustrations or influence future purchases. I might have written a letter to the editor of my daily newspaper or to the company. And I could probably influence my family and a few friends to never buy a Montblanc but the brand could live with that. But in today’s much more competitive, social and relational environment, the consumer now defines the brand and brands need to understand that not only must they deliver on any promises they make, they must also look to every single sale not as a transaction, but as the beginning of a relationship. That’s the responsibility they have. They might not like it but if they want the customer’s money, that’s what it costs. It’s not easy to maintain those relationships but with relationships comes trust and trust allows companies to charge higher prices. 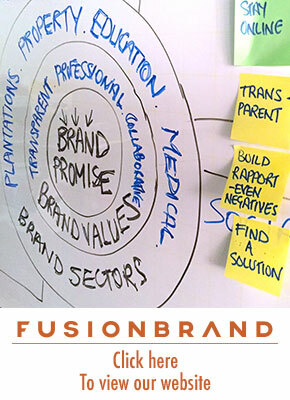 Smart brands understand that today, if they make a promise they have to live up to it. They understand that there are certain ethics they need to aspire to in order to deliver on their brand promise. Montblanc promised me luxury and distinguished heritage of close to 100 years but hedged their bets with a 24 month warranty. That’s essentially hypocritical. I wasn’t happy so took my frustrations to the Montblanc Facebook page where I complained. Initially Montblanc refused to accept responsibility for the matter and referred me to the opaque warranty. This was not a good idea. So I got ready to launch a rant on Twitter, create videos for YouTube and post pictures on Instagram, write negative blog posts, share the videos, comment on forums and search for discussions on pens so that I could share my experiences. I mapped out what I was going to say on anti Montblanc websites and Facebook pages that I would create and even use the experience as a case study in my next book. When faced with complaints, great brands listen carefully and do their research before doing the right thing by their customers. I think that Montblanc initially anyway, acted fast but then reflected. Because a couple of days later I got a call from Terence Tan, the retail manager of Montblanc in Kuala Lumpur. He asked me to bring the pen to the shop and they would fix it for me at no cost. I took the pen in and Terence was apologetic and professional. He outlined the process and that I would be called once the pen was fixed. And sure enough he called me personally and told me who to speak to if he wasn’t around because he was travelling in the next week. In other words, Montblanc supported what it says on the website. And as a result, instead of all the negativity I mentioned above, I’m writing about my positive experience with the brand. I’m enhancing their reputation, substantiating their brand promise and creating more emotional connections with the brand. Montblanc can now use my positive experience in its brand building strategy. And this is important because up to 70% of customers rely on customer reviews before making a purchasing decision. These reviews provide the social proof increasingly cynical and jaded consumers need before making purchasing decisions. Integrated into the Montblanc brand strategy and shared across the ecosystem, Montblanc has the chance to turn a disgruntled customer into a brand advocate by leveraging on the positive feeling created at minimal cost to the brand. Because now I’m no longer a component of a transaction, I’m now in a relationship with a brand I care for and who obviously cares for me. So the next time someone complains about your brand, have a think about the complaint. Look at it from their perspective, not from yours. And think about it from a relational, not transactional perspective. If you do, you may not only make a sale, you may make and keep a customer. I’m not sure of the model. But if the same thing happened to you, I suggest you try and do what I did because it’s a manufacturing flaw and brands should take responsibility for their mistakes, even if it is outside the warranty period. More and more brands are taking this approach, some are even promising to replace a product if it breaks, even 20 years from the date of purchase. Good luck and let me know how you get on!